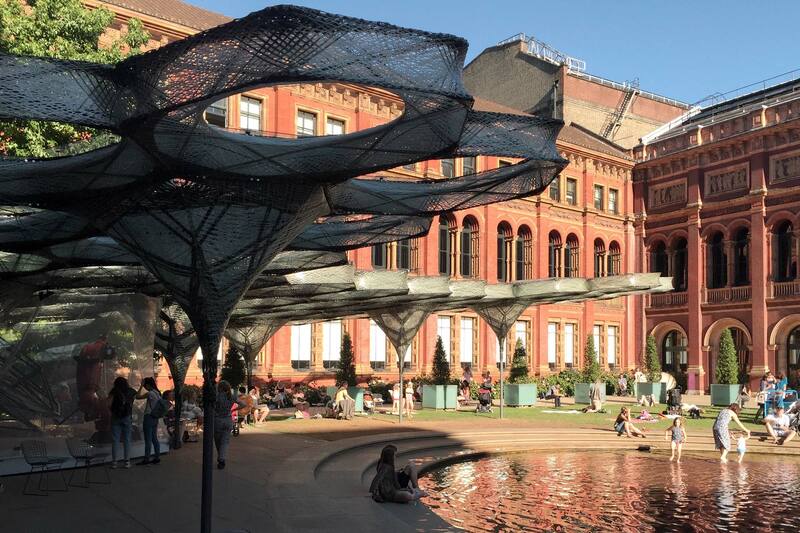 The Elytra Filament Pavilion was a site-specific installation in the courtyard of the Victoria & Albert museum in London. 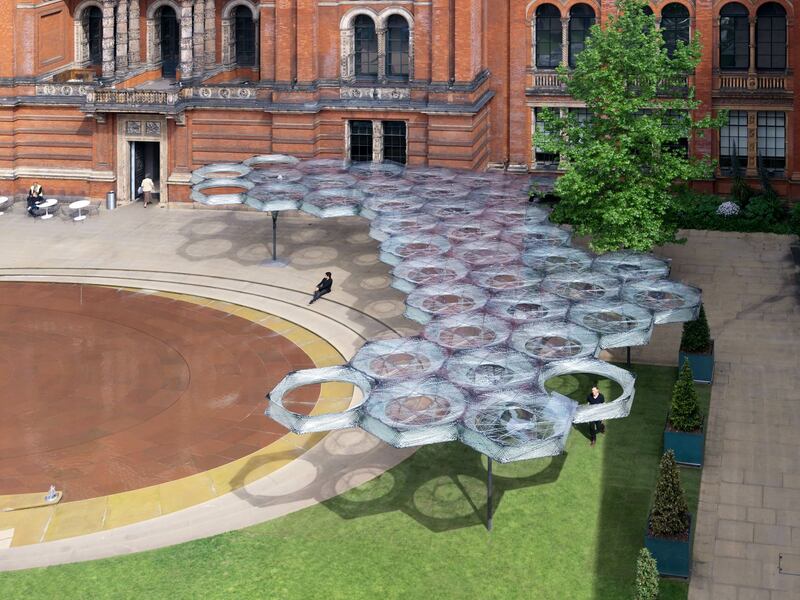 The installation was inspired by nature and fabricated by robots. 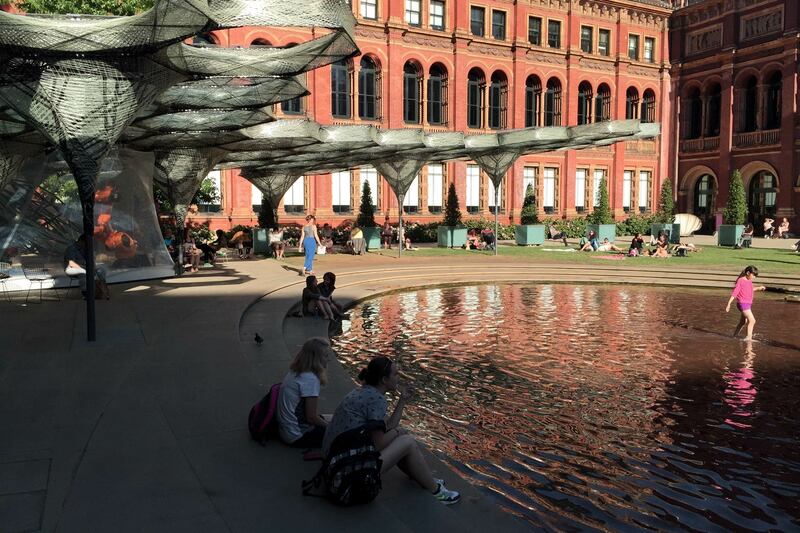 The V&A Engineering Season highlighted the importance of engineering in our daily lives and its vital and creative role in the development of our built environment. 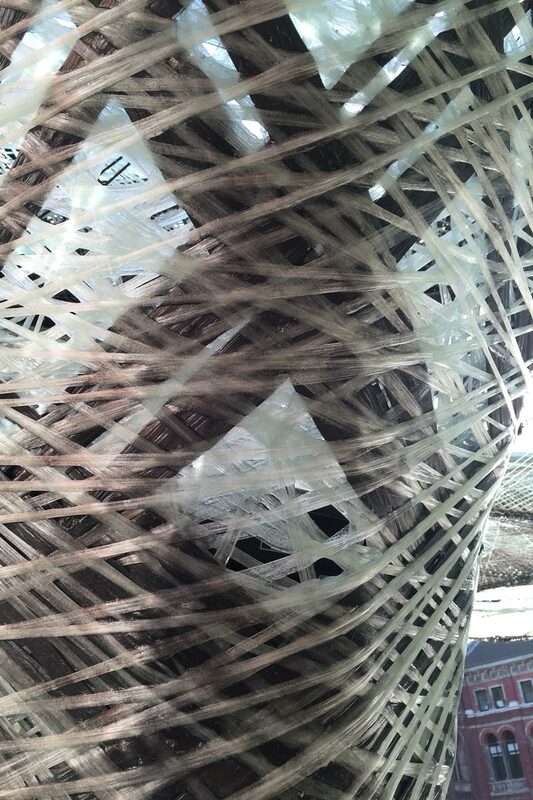 Inspired by a lightweight construction principle found in nature – elytra are the fibrous forewings of flying beetles – the Pavilion was an undulating canopy of tightly-woven carbon fibre cells created with a novel robotic production process. 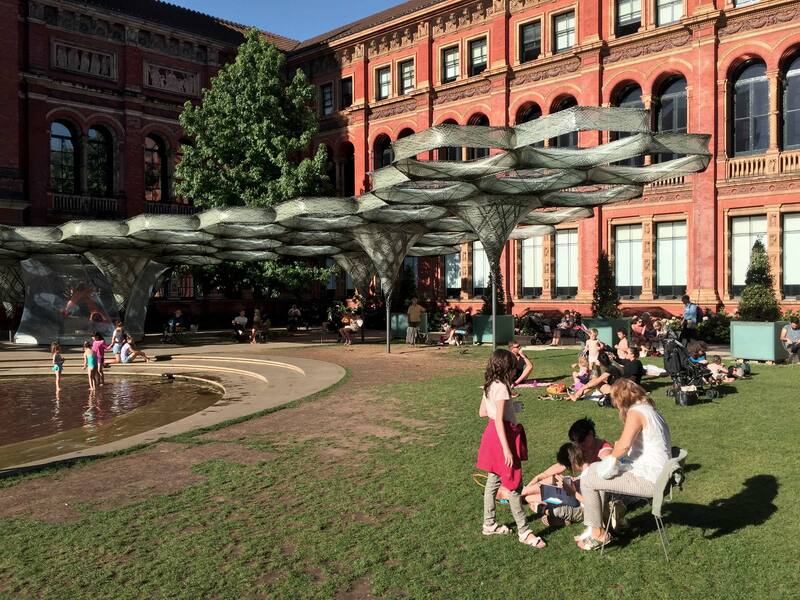 The Pavilion grew over the course of the V&A Engineering Season in response to data on structural behavior and patterns of occupancy in the courtyard, i.e. an evidence-based design method was employed. 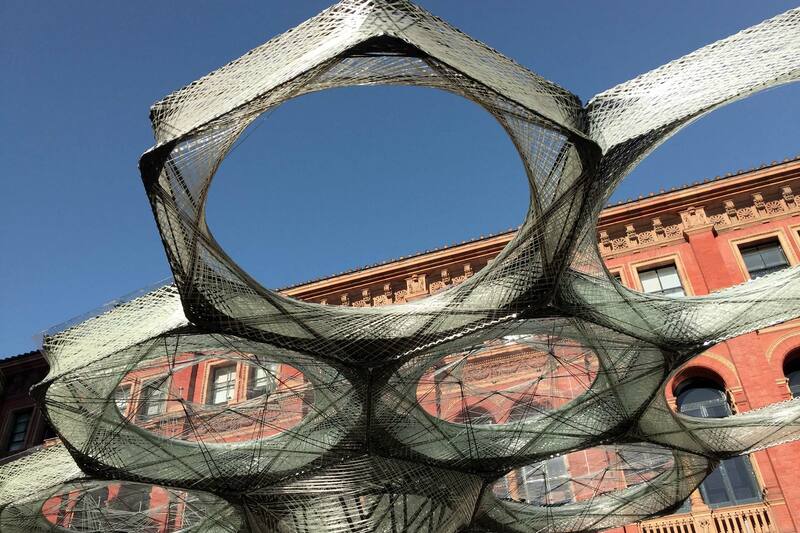 This data was captured by sensors in its canopy fibres. Modcams were used to acquire real-time data for heat maps, which indicated which spaces under the pavilion were occupied by visitors. These heat maps were overlaid with an evaluation of the local outdoor thermal comfort, in the form of UTCI values. UTCI (Universal Thermal Climate Index) is a key topic in human biometeorology, and a metric which allows quantitative assessment of human comfort. The real-time UTCI map for conditions under the pavilion was calculated from climate data taken from a nearby weather station and local sensors.